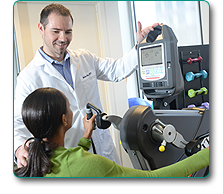 Arthritis & Rehabilitation Therapy Services (ARTS) is an established physical therapy practice with special expertise in the treatment of rheumatic and neurological disorders, along with orthopedic conditions and syndromes. Our licensed therapists believe in a hands-on approach to therapy that assists patients in minimizing pain and achieving their fullest physical capabilities. Our personalized approach to treatment, delivered in a caring environment, attracts patients with a wide range of therapeutic needs. ARTS therapists work with board-certified rheumatologists, orthopedists, neurologists and other physicians to develop individualized treatment plans designed to increase patient comfort, function and safety. Each plan has measurable outcomes for monitoring progress and includes patient education and home care programs to maximize patient independence. Click here for more patient success stories. I have stage four metastatic breast cancer. My oncologist recommended physical therapy because one of the medications I take has caused muscle and joint pain. Anne Wellington Goldsmith has treated me in the past and was my choice. Anne has been very helpful and has given me suggestions, which have eased the pain. I have had several therapist over the years and this one is the best. My life has improved much with being able to sleep better. During an initial evaluation, therapists gather important information about the patient’s specific disease or disorder, general health and their home and work environment. 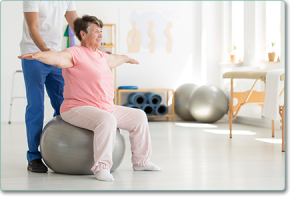 Based on the results of the evaluation, physician’s recommendations and available medical records our licensed physical therapists develop a comprehensive plan that treats the whole person and supports other adjunct treatments that might be underway. ARA is very organized, with my sessions beginning at the time scheduled. If I had to change my time of a session, they worked with my schedule. The care received greatly increased by mobility! I would strongly recommend ARA to family and friends. What sets your physical therapy apart from others is you offer more explanation of “why” you are doing this therapy. I would definitely recommend ARA to friends or family, as you are an excellent professional service with a friendly touch. ARTS specializes in rehabilitation programs and protocols for the diseases and disorders listed below, as well as many others. Patient and family education, along with instructions for expanding the benefits of therapy through home exercise, are integral parts of all ARTS rehabilitation programs. Of special note are our back school, programs for joint protection/arthritis prevention and fibromyalgia classes. We can help with a variety of conditions that commonly affect women. Physical therapists use a variety of techniques and interventions, also referred to as modalities, to treat musculoskeletal problems and to resolve pain. Many diseases and disorders, especially those that cause pain, benefit greatly from therapeutic exercise programs and the use of advanced, hands-on techniques. All ARTS therapists are highly skilled in these interventions, which they use in combination with other basic modalities as described below. Click here for a list of Our Directors. Each of our four locations are open Monday through Friday. Hours of operation are clinic-dependent, with some clinics taking patients as early as 7:00 a.m., and some as late as 6:00 p.m. 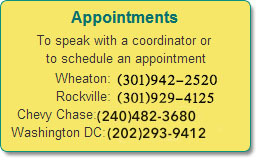 Please call the individual clinics for specific office hours. ARTS participates with numerous insurance plans, including Medicare. When you call to schedule an appointment, the receptionist will ask for your insurance information and will advise you as to our participation status with your carrier. Click here to view participating insurances. When you come for your scheduled appointment, please be sure to bring your completed registration forms. In addition, bring your identification, insurance card and your physician’s referral for physical therapy. Please click on the link to download the needed form. Each form is a PDF document that can be viewed with Adobe Acrobat Reader. Forms can be sent to ARA via fax, mail or in person during a scheduled appointment. Each of our four convenient locations are equipped with state-of-the-art technology and expert clinicians.